The appearance of your business can be shaped through your building so the roof of your commercial property is incredibly important consideration. Costs to repair and renovate can be extensive if they need to occur regularly through your buildings lifetime, or you find out your installed roofing was not to your specific requirements. This is where single ply roofing systems come in. They’re extremely popular due to their flexibility, price and ease of installation. They’re able to be manufactured in factories, making it the finished product tidier. Find out about the single ply systems installed by Sage BEC. Single ply roofing systems use flexible sheets designed to give lasting durability and strength. These sheets are manufactured to specific requirements and are a consistent high quality. They’re also able to be applied in a range of different situations. 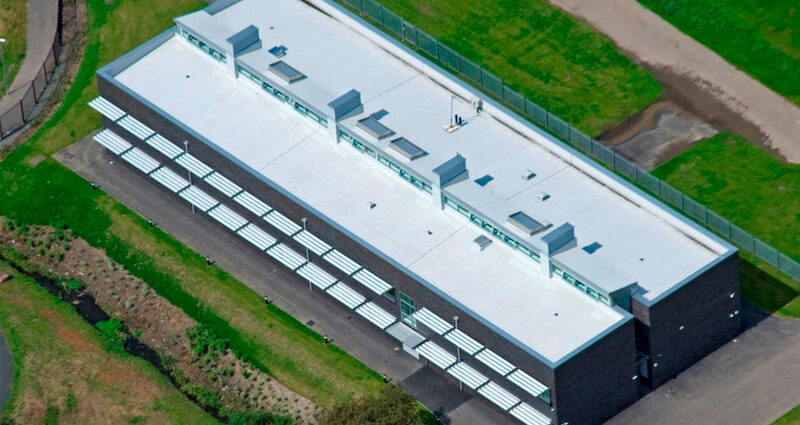 The vast majority of single ply roofing membranes are thermosets or thermoplastics. Put simply, thermoset single ply roofing consists of a selection of rubber polymers. Their advantages and design is successful as they can withstand UV damage from the sun and other common vulnerabilities found on roofing. They usually consist of ethylene propylene diene monomer (EPDM). Thermoplastic single ply roofing is usually made of polyvinyl chloride (PVC). The products falling under this are varied and have different features depending on what is needed. They share being very flexible through adding other ingredients to it. In addition, they’re chemical and water resistant. In addition, repairs and maintenance are very simple for thermoplastic. Which type of roof is best for me? This depends on the specific requirements of you and your building. Potential weather conditions, visuals and height all need to be considered. Your personal preferences also need to be taken into account with areas like appearance. Who is best in order to install single ply roofing onto my building? Sage BEC has a wealth of testimonials, guarantees, accreditations and examples of wonderfully completed single ply roofing projects. You need a qualified, accredited contractor with a proven work history in order to complete something as important as a roof. We’ll assess your specific needs taking into account your requirements to design the very best roofing system at the most competitive prices. We’re able to get the very best products and prices for our clients due to our many connections.